This page is the table of contents of Casafont's websites. Here you will find general information of the business and the activities we offer. Casafont's farmhouse: a place to get away and enjoy the peace and the beauty of its sorroundings with your family, your friends or alone. A high quality infrastructure devoted to music production in the heart of the D'Ora valley, genus loci of the Solsonès region (Catalonia, Spain). 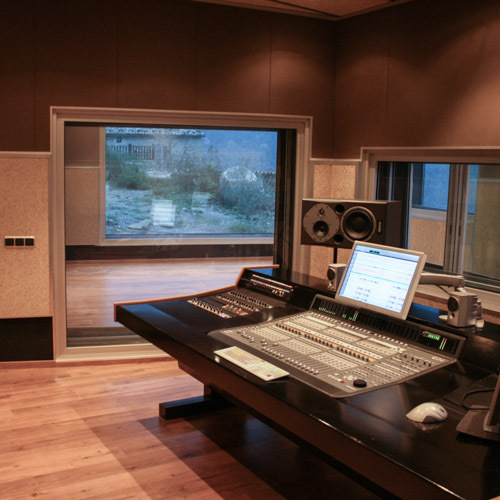 Casafont Records is the public loudspeaker of the productions recorded in the studio, as well as a digital distribution platform. Nature in its pure state. You'll forget about the world. 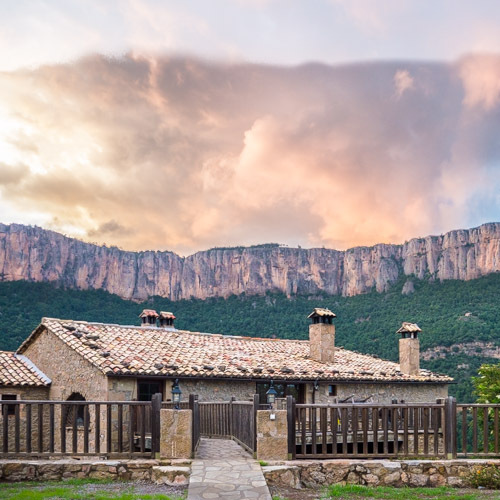 Right in front of Busa's cliff, with magnificent views of the D'Ora valley, we find Casafont, a restored old farmhouse offering maximum comfort and surrounded mainly by woods, meadows and a vineyard that allows the production of wine for personal consumption. 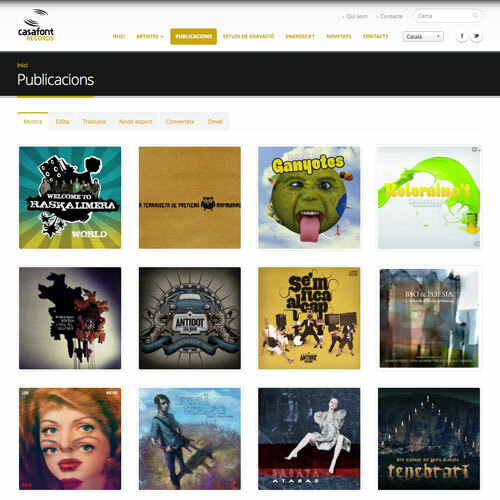 In a totally independent manner, Casafont Records promotes the music projects that originate in the studio, as well as the digital distribution of other bands in Spotify, iTunes, Google Play, etc.